Introduction of Guests and New and Old Member (who have been gone): Rick McKernan had a guest. His name is Ron Lueck, of Lueck Surveying. Ron’s office was adjacent to John Sapp’s office, and the mailman would often leave mail for John or the Optimist Club o/o John at Ron’s office. Ron is often at the clubhouse as a member of the Old Wheel Car Club which meets at the clubhouse and already knows many of our club members. 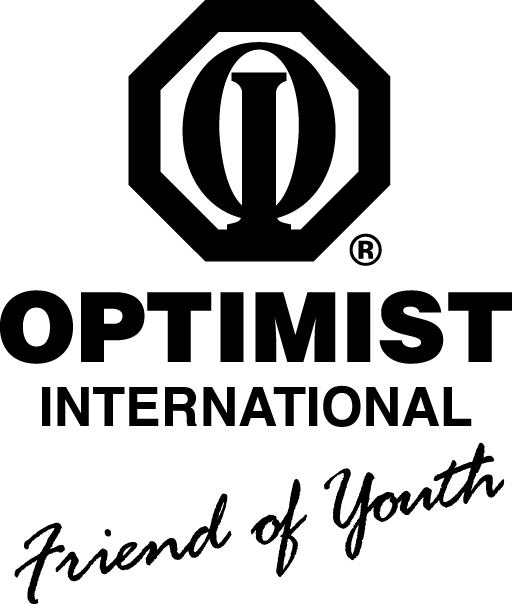 Tri-District Optimist (West Missouri, East Missouri and Kansas 2rd Quarter Conference: on Friday, February 15 and Saturday, February 16 at the Adam’s Marks Hotel (9103 East 39th Street Kansas City, MO). If anyone is interested please let me know as soon as you can Registration deadline is Friday, February 8. We are sponsoring 2 CYBA this year. We are sponsoring a 1st and 2nd grade team and a 4th grade boys team. The 1st and 2nd grade team is playing at Beulah Ralph at 12:00 pm Downtown Optimist vs Midway Optimist Club team by Shannon Bahadori and Wendell Coonce this Saturday and the 4th grade boys team is playing at 9:00 am coach Kevin Pistole at Gentry Middle School. If you have time Saturday please go out and support our teams. If you want a copy of their schedule please let me know and I can get you one. Event will occur on 1/22/19 at the D. O. Clubhouse. Cook-off will start at 6:00 p.m. Cost is $10/adult. There is no meal charge for kids. Money from the Chili Cook-Off will be going to keep up the clubhouse with paper goods. Scott Stager stated this event will occur on February 16, 2019. He requested additional assistance from the D. O. Club with funds (e.g., to reserve booth space) for our Club to prepare Chili at this event. Steve will double check with the Boy’s and Girl’s club to see if we can sell the Koeze Nuts during the Rootin’ Tootin Chili Cook-Off. if we can sell the rest of the Koeze Nuts during this event and give the money we make will go back to the Boy’s and Girl’s Club. Scott is looking volunteers to come a help Friday, February 15 evening to help set up. Saturday, February 16 he will need help from 8:00 am to 1:00 pm for preparing and cooking for the chili and then from 2:00 to closing for passing out the chili samples and cleaning up. The last 2 years we have taken 2nd or 3th place during this event. President Dewey stated that Rick McKernan wanted everyone to know that the computer give-away is slated for February 20-23, 2019. We are looking for members to help with this event. Computers will be coming to the clubhouse on Wednesday, February 20, and Thursday, February 21at 4:00 pm is when we will be putting the computers together. He would like the board members to come and help with this before our board meeting at 6:00 pm that evening for those who can help. On Saturday, February 23 the Boone County Sheriff Department will come and talk to parents and kids about the computer safety before the families will receive a computer. Rick will need help that day too. President Dewey reminded members that on January 28, 2019 the weekly D. O. Club meeting will be held at the Tiger Hotel beginning at 6:00 p.m. This is an opportunity for members who cannot make the noon meetings, due to scheduling conflicts with work, etc., can attend this meeting in the evening. Invitations have been sent to all D. O. members and other Optimist Clubs in the area. Cyrilla Galbreath told us about Dottie. She fell a couple week ago and broke her femur and she is at Lenior Home for recovery and physical therapy. Cyrilla Galbreath also let us know that she will taking over the Downtown Optimist Club High Scholarships form to the high school on Tuesday, January 21 if the weather is good to the school counselors. The deadline for turn in is Monday, March 18, 2019. 6 to 1 pm cost $8.00 at the door and $7.00 advance. This will take place at the Jerry Sigmund Cosmopolitan Center 171 Burlington Street. Midway Optimist Club Pancake Breakfast is on Saturday, February 9, 2019 at the Midway Elementary School ( 8130 US Highway 40 West) from 7:00 to 10:30 am. Cost is $7.00 for Adults and $4.00 for kids (K-5th grade).